Julissa Vasquez joined Barrier Free Living’s Freedom House domestic violence shelter team this past year as Director of Social Services. Julissa has a Master’s degree in Social Work from Hunter College and she’s been working in social services for the past decade. Currently, she is doing a research project for Stony Brook University about the intersection of domestic violence and disability. 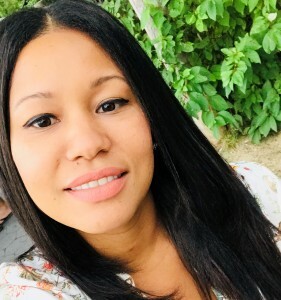 Julissa takes a few moments to share her thoughts around the work she does, and how she hopes to contribute to the agency team. Growing up, it didn’t occur to me that my mother had experienced domestic violence. At the age of five I wasn’t old enough to understand why my mother suddenly fled the country; leaving my brother and I behind in the Dominican Republic. After many birthdays passed, and what seemed to be a lifetime, I finally became reunited with my mother. At ten years old, I came to the U.S. for the first time. My mother’s struggle was kept silent. The tears shed, the language barrier, the fear of deportation, the lack of resources, the multiple factory jobs, the long days and nights. For many years I did not understand, nor did I have the tools to put into perspective why my mother would have made such a decision and leave us behind. From my recollection I had never been privy to any of the violence in the home. Or perhaps I was just too young to recall. It wasn’t until I became a wife, and a mother, that I understood my mother’s decision. I also understood why so many choose to suffer in silence and why so few are brave enough to leave. Today, I am fortunate and blessed to have the opportunity to be able support the brave women, men and children that come through our doors (at Freedom House) every day. For over 12 years I have worked in the social work field on both a macro and micro level. All of these experiences combined have awarded me the opportunity to understand the intersection between systemic and cultural influences that play a part in and perpetuate violence against women. At Freedom House we do more than just provide shelter. We support individuals as they transform their lives, start over and learn how to stay safe. We are part of their healing and their journey and we celebrate their successes as if they were our own. There are several challenges. We struggle against systems, transforming mind-sets and breaking through barriers. Yet I am hopeful. I hope to accomplish great things here at Freedom House. In my first year, I will try my very best to assess how we as an organization, and as a team can enhance the amazing work that is already being done. I strive to be an advocate, a source of strength and a role model for my peers and residents. I am inspired by the resilience, bravery and strength of our residents. Working at a place such as Freedom House in some ways is my way of paying forward the gifts that were awarded to me by the mere fact of my mother’s bravery to follow the unknown.